They’re lying to you, again..
A widely publicized new report from the Federal Reserve shows Americans’ wealth plunged by nearly 40% between 2007 and 2010, due to the collapse in home values and the stock market. There’s one big problem with the Report, which reveals that the net worth of U.S.families has been reduced to a level not seen since 1992 – it’s one of the biggest lies ever perpetrated on the American public! Here’s why: You can’t eat a number on paper! Those statistics about how much Americans’ wealth had ballooned prior to the financial crash were pure fiction. 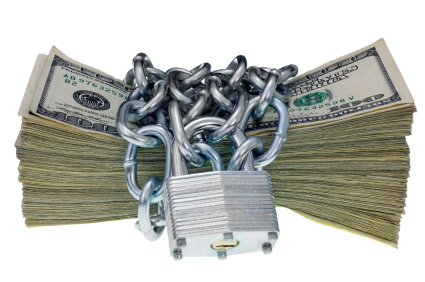 Unless and until you sell your assets and (hopefully) lock in your gains, you have nothing more than a bunch of eye-popping numbers on paper that have lured most Americans into believing they have real wealth and financial security, when they do not. At least that’s the case for Americans who save and invest the way the conventional wisdom tells us to. But it’s not true for people who use the Bank On Yourself method. Last week my husband and I got the annual statement comparing the balance in our traditional retirement/pension account at the end of last year with the balance from the previous year. This is a plan we started 20 years ago – before we knew better – and stopped contributing to it about five years ago. The account had lost $15. Even though it’s a fraction of the heart-stopping losses we’ve experienced in other years (including when we had the country’s priciest, top advisors managing our money), it made me hopping mad. Most people who’ve bought into Wall Street’s mantra about how investing pays off over the long haul try to shrug off the losses. After all, Wall Street has been very successful in brainwashing us into accepting the “fact” that there will be some ups and some downs. But I’ll be 60 in November, and I no longer have decades to wait for my investments to recover. So I ran to the shelf where I keep all of our Bank On Yourself policy statement histories and ran some calculations that blew me away… and which I think you’ll find eye opening. You’ll see why so many people say their Bank On Yourself policies are beating all their traditional investments! We have a number of policies that we started for various reasons, and as our income grew. To make an apples-to-apples comparison, I deducted what we paid into each policy last year and then calculated the percentage increase each policy experienced. In our policies that were properly structured to maximize the Bank On Yourself concept and include riders that super-charge the growth of the cash value, the annual increases were between 3.4% and 6.2%. 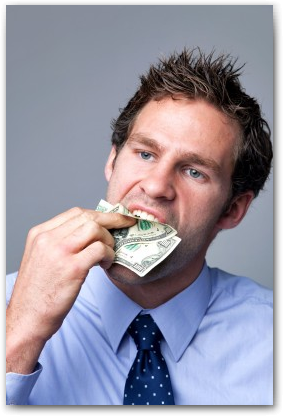 Handily beating inflation, CD’s and money markets with no luck, skill or guesswork required. Not pie-in-the-sky or astronomical returns, but better than what most people you know are getting. Recall that Bank On Yourself policies grow by a pre-set and guaranteed amount every year. Plus you have the potential to receive dividends. Dividends aren’t guaranteed, but the Bank On Yourself Authorized Advisors only recommend companies that have paid dividends every year for at least 100 years. Dividends today – like interest rates – are at historic lows, yet these policies still grew by 3.4%-6.2%. As interest rates and dividends increase, so will the annual growth. Are you wondering why the growth of some of our policies was nearly twice as much as others? There are many factors that come into play. This is why I keep saying no two plans are alike – each is custom tailored to your unique situation and your short-term and long-term goals. Unlike with traditional investing and saving strategies, you can actually know the bottom-line guaranteed amount you’ll have in your plan at every point along the way, before you even decide if you want to move forward with the plan. 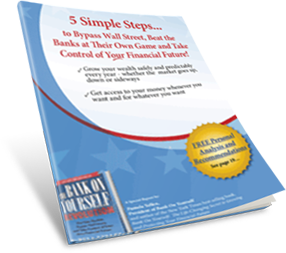 If you’re ready to find out how the Bank On Yourself method can give you the financial security and predictability you want and deserve, take the first step right now by requesting a free Bank On Yourself Analysis. You’ll also get a referral to one of only 200 advisors in the country who have met the rigorous requirements to be a Bank On Yourself Authorized Advisor, who can answer your questions and show you how much your financial picture could improve when you add Bank On Yourself to your financial plan. Bank On Yourself policies are taxed like a Roth IRA – you can access both your principal and growth with no taxes due on it, under current tax law. Which makes the effective return of the policy much higher. Case in point: If you’re saving in a tax-deferred retirement plan – like a 401(k) or IRA – and you retire in the 32% tax bracket, your investments will have to throw off $147,000 to net you $100,000 income a year. Your Bank On Yourself policy only needs to throw off $100,000 per year to net you that. Unlike traditional investments, both your principal and gains in a Bank On Yourself policy are locked in every year, the minute they are credited. So, if you planned on a 5% annual return in your investment account, but you have a year when you get no growth (like many people experienced in 2011, when the S&P 500 was flat), you’ll have to get a 10% return the next year to make up for it. 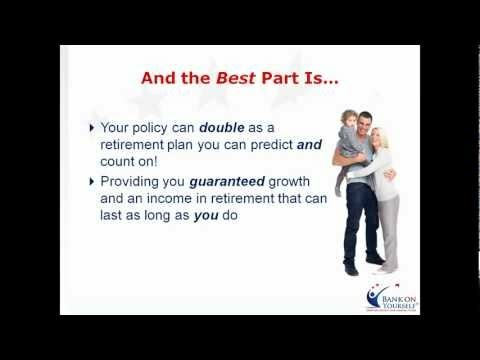 With a Bank On Yourself policy, you get the full benefit of compounding. Say you have $100,000 of cash value and it grew by 5% last year (as many of my policies did). That gives you $105,000, which is now locked in. If the growth is 5% again this year, it’s 5% on the full $105,000, and your account grows to $110,250. 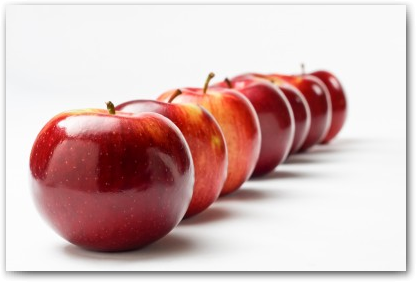 Over time, the power of compounding is enormous! This may seem like a “Money 101” point, but it’s amazing how many people do not keep it in mind when looking at their investment portfolios! The growth in a Bank On Yourself plan is not only guaranteed – it’s exponential. The growth curve gets steeper every year you have it. Again – no luck, skill or guesswork is needed to make that happen. You can see the growth curve for your own plan when you request a free Analysis. What if you could bypass banks, finance and credit card companies altogether and become your own source of financing? A Bank On Yourself policy can double as both your retirement plan and your emergency fund. You can use your money in the plan however you want and for whatever you want. Best of all, the companies recommended by the Bank On Yourself Authorized Advisors have a feature that lets you borrow your money in the plan to purchase things or invest elsewhere, while your plan continues earning interest and dividends as though you never borrowed a penny. Watch the video above to learn how this works. When you Bank On Yourself, you’ll have the financial security and peace of mind that comes with knowing the value of your retirement account on the day you want to tap into it… and at every point along the way. And isn’t that what we all want and deserve? Bank On Yourself is about real wealth and financial security for as long as you live. Whether you already use Bank On Yourself or you’re considering it, I hope you found this helpful. Do let me know what other questions you have that I can address in a future blog post in the comments box below. Wondering where you’ll find the funds to start a plan? Don’t worry! You’ll receive a referral to one of only 200 advisors in the country who have met the rigorous requirements to be a Bank On Yourself Authorized Advisor and can show you ways find money you didn’t know you had to fund a plan. Pam, what companies are you using? I too, just finished looking at the one and only mutual fund left in my deferred comp from work (retired 5 years ago) which I keep just to see what will happen. I keep telling myself thatt when it gets back to the amount I invested, I will cash it in, but I am still waiting. The media keeps saying the market is up 40, 50, and even 80 percent, but I am still in the red. I looked at the chart for my mutual fund and it shows it is up 15.4 percent since I invested,, so why am I not at least breaking even? All those years in the past that I dumped money into the market has done more harm to my financial health than anything Obama or any politician can do.. Wall street and those who advocate putting money there are flat out liars or at a minimum very naive. I am currently funding my bankonyourself plans and am already seeing growth. You’re finding out what studies consistently show: The fancy mutual fund prospectuses don’t reflect the actual results investors in those funds actually get. I’ve covered some of the reasons for this in other blog posts. Congrats on taking control of your financial future by Banking On Yourself!